German Chocolate Pound Cake, luscious rich pound cake made with Baker's German Sweet Chocolate and dusted with a little powdered sugar to make it decadent. 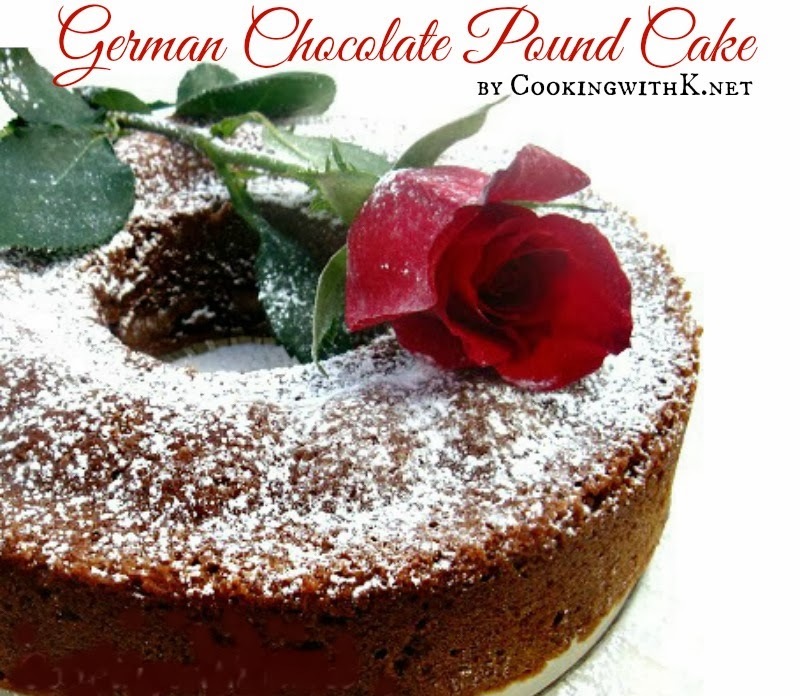 When you see recipes for German Chocolate Pound Cakes, you usually see them made with a cake mix. They are delicious made with them, and I use them, but my favorite recipe is my Mother's. 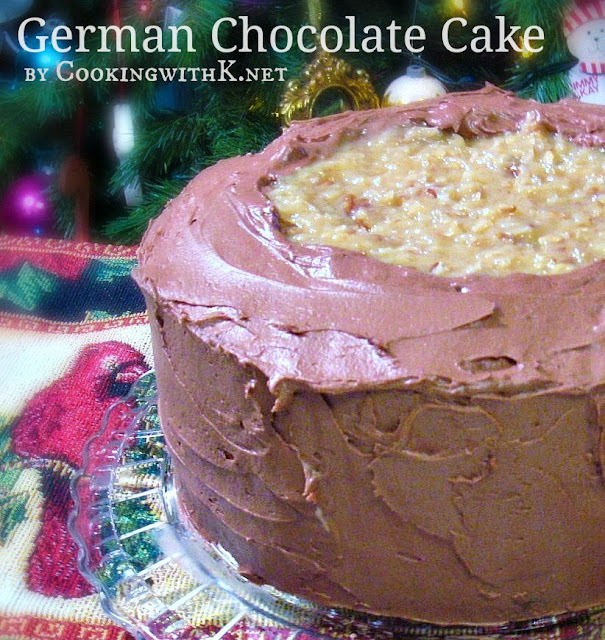 Her recipe is one that was popular in 70's and made with Baker's German sweet chocolate. This recipe is unique in that you cover the warm cake in a tight cake-cover so that it will sweat until it is completely cool, producing a moist and velvety pound cake. 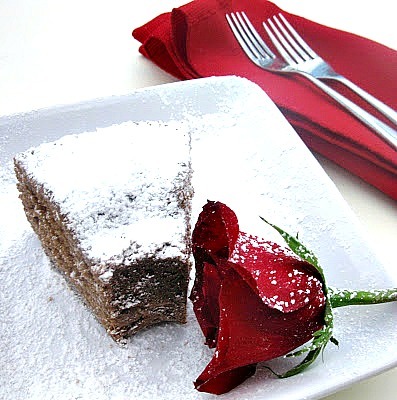 Happy Valentine's Day ~ This Decadent German Chocolate Pound Cake is sure to please your sweetheart on this most romantic and indulgence of days! Preheat oven 300 degrees F. In a medium microwave safe bowl, melt German chocolate in the microwave for 1-2 minutes at 30 SECOND intervals only until chocolate is melted; stir and set aside. Using the paddle attachment in the bowl of an electric mixer, cream sugar and shortening. Add eggs, vanilla, butter flavoring, and buttermilk. Whisk together flour, soda, and salt. Add to creamy mixture and mix well. Then add melted German Chocolate and blend together well. Pour batter in a 9 or 10-inch tube pan that has been well greased and dusted with flour. Bake for 1 1/2 hours or until toothpick inserted in the center comes out clean. Remove cake from pan while still hot and place under a tight fitting cake-cover and leave covered until cold. Oh yeh Baby! This looks soooo scrumptious! I'm not big on cakes, unless they're made from scratch. Your mom sure had the bestest recipes huh? I'm so happy you share them with us. Thanks - enjoy a love-filled weekend. Two of my favorite things in one, I cannot wait to make this! Thanks so much for sharing on Weekend Potluck! Popped over here from weekend potluck. That cake looks so rich and chocolaty! German chocolate is my Dad's favorite! Looks so delicious! I love how you used the pizza dough in the previous recipe! This a great looking cake! 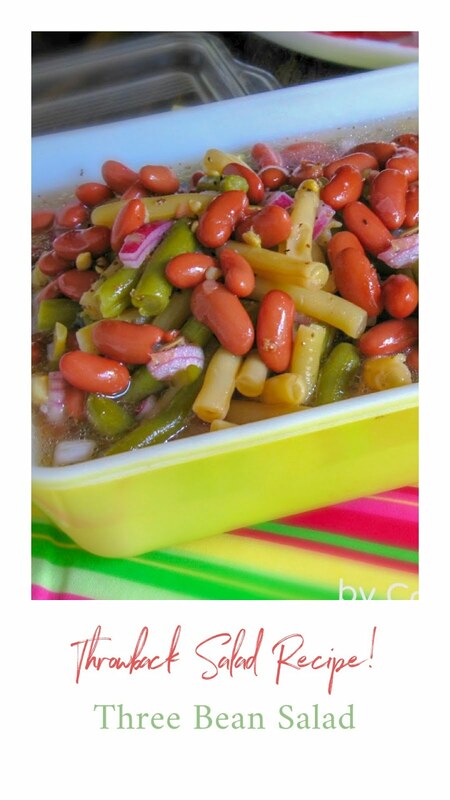 I love old recipe and would really like to try it. Hi Winnie...that bar of chocolate is 4 ounces...if you can't get it...Swiss chocolate is similar! hope you enjoy this recipe...let me know! Looks Delicious! I saw you on EMM Church Supper and so glad I did! <3 and Hugs! My mouth is watering, I bet that's delicious! Granny knows what shes doing! Love grandma's recipes, they are just the best, filled with love and fresh ingredients. This one sounds DELICIOUS!! My hubby loves german chocolate cake, will have to make this for him! The pound cake looks awesome and love the presentation. Thx for linking to the event. Could you also add a link to the event announcement? Thx. 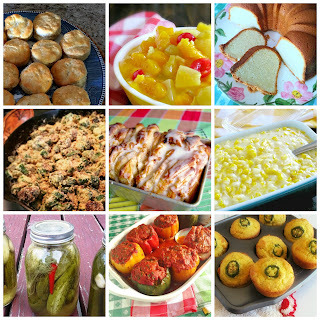 You are being featured @CountryMommaCooks Link & Greet Party. I definitely want to make this. Where do you get butter flavoring? never heard of it. You can find it on the shelf where the vanilla flavoring are....hope this helps. Welcome to CWK....you are making my day! Always love to hear feedback from wonderful people like you...enjoy your weekend! This cake looks and sounds so good--I will need to try it! 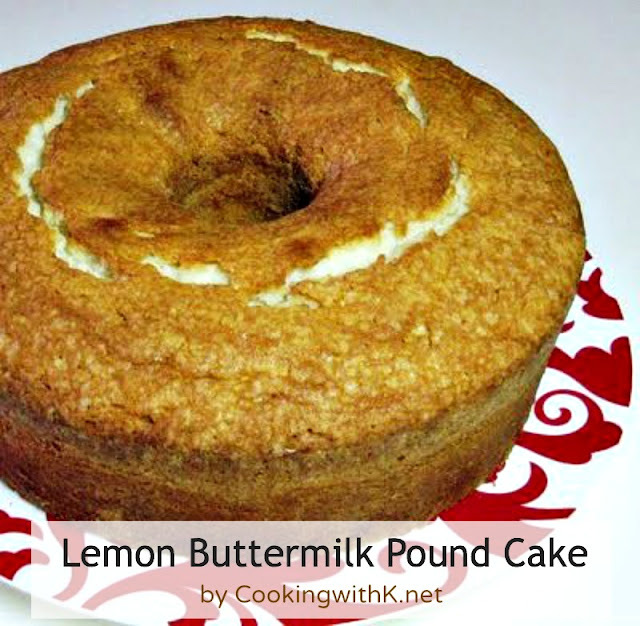 This is a beautiful and flavorful Pound Cake. 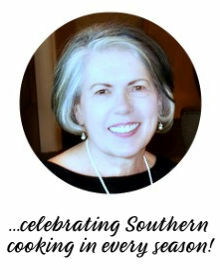 Have a great week and thank you so much for sharing your awesome recipe with Full Plate Thursday.